Several sizable multifamily properties have changed hands over the past year or so as institutional investors have taken a liking to Portland. But according to Colliers International, smaller apartment buildings are also becoming popular targets in the market. Case in point: a three-building portfolio with a total of 41units recently sold for $9.05 million. 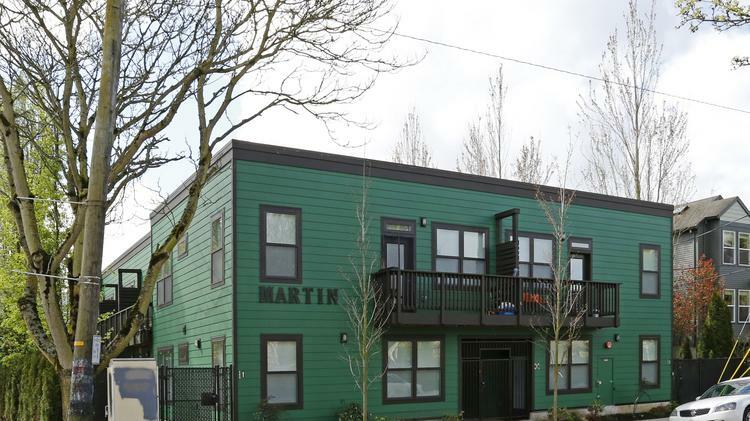 John Evilsizor Realty, a California-based real estate company, purchased the three buildings: the 14-unit Martin, the 12-unit Louie and the 15-unit King apartments. All are located on Northeast Martin Luther King Jr. Blvd. and all were built in the past three years. The seller, MRMRT, a Portland area developer, was represented by Colliers vice president Skip Rotticci, associate Alexander Cheng and associate Kenneth Verbeck. According to Colliers, smaller assets of between 10 and 30 units offer competitive rents and are easier to lease, upgrade and maintain. Their appeal for investors in Portland is likely to continue. “The volume of sales for smaller assets will increase,” Cheng said.